General Atomics Electromagnetic Systems (GA-EMS) and TESAT-Spacecom GmbH & Co. KG, Germany have signed a Memorandum of Understanding (MOU) to jointly develop certified Space-based Laser Communication Terminals (SB-LCT) to support U.S. defense and intelligence applications. Scott Forney, president of GA-EMS, said that Free Space Optical communications, more commonly called Lasercomm, are quickly evolving as a more affordable way to significantly increase communication capabilities without the traditional limitations of RF [radio frequency] system. This MOU is an exciting opportunity to bring the company's rich heritage in laser systems and operational flight experience together with Tesat’s extensive expertise in the development and operation of space-based Lasercomm technologies. 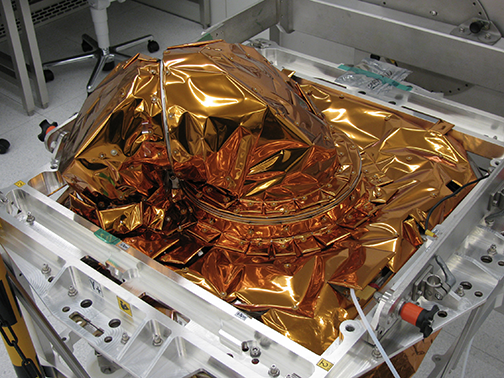 The firm's goal is to investigate ways to rapidly and cost-effectively develop certified SB-LCT payloads to help meet customer demand for high performance, robust and secure communications in space. Nick Bucci, VP of Space and Missile Defense Systems at GA-EMS, added the company has a long established, successful working relationship with TESAT and looks forward to launching this new effort to develop multi-domain laser communications technologies to support a variety of critical mission requirements. The company will leverage the advances we’ve made over the years to develop and deploy smaller, lighter and more capable SB-LCT payloads that enable space to space, space to air, and space to ground laser communications for reliable coverage worldwide.